Whole Foods co-founder John Mackey is No. 49 on Fortune's list. Two Texas leaders from very different sectors are sharing the spotlight on Fortune's list of the world's 50 greatest leaders. Adm. William McRaven, chancellor of the University of Texas System, is joined by Whole Foods Market co-founder John Mackey. For its second annual roundup, Fortune "cast a wide net" and assembled a list of "elected government officials, CEOs, chiefs of NGOs, clergy, coaches, athletes, artists and more." Nominees were chosen by those on last year's list as well as leadership experts and Fortune reporters. They were then vetted by the appropriate experts, and Fortune selected the 50 recipients. 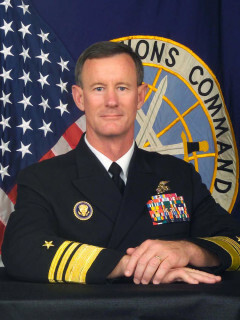 Adm. William McRaven ranks No. 35. "McRaven, a former Navy SEAL, earned renown after overseeing the 2011 Special Ops raid that killed Osama bin Laden. But his fame swelled last year when he gave one of the all-time great commencement addresses — a speech at his alma mater, the University of Texas," writes Fortune. "McRaven was named chancellor of the UT System in January, and he's already helping repair its reputation, which had suffered after an admissions scandal and other controversies." 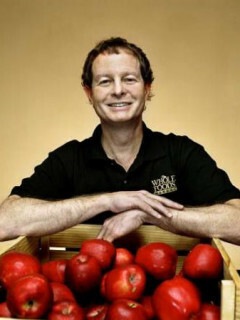 Whole Foods Market's John Mackey lands at No. 49. "When Mackey co-founded the precursor to Whole Foods in 1978, natural and organic products were for hippies. Now the Austin-based retailer is not only tapping into consumers' shifting habits but wielding powerful influence in a food movement that has changed the way people eat and affected everything from farming to labeling," says Fortune. "Mackey is also leading another movement — this one called 'conscious capitalism' — that urges a more ethical way of doing business." McRaven and Mackey join a host of leaders selected not only for their visions, but also for their ability to move others to act. Included on the list are Pope Francis (No. 4), Taylor Swift (No. 6), Bill and Melinda Gates (No. 18), and former Houston Rockets star and animal rights activist Yao Ming (No. 26).